Cleaned, dried, and sorted for the best long pepper spikes. Long pepper (also known as Piper Retrofractum, pippali, Indian long pepper, and dei-phlei in Khmer) is from the family Piperaceae. It is usually dried and used as a spice or seasoning. 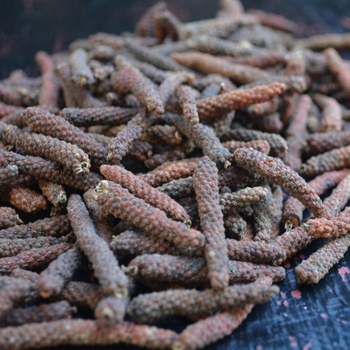 Long pepper has a similar, but more complex taste to its close relative Piper Nigrum - from which round black, red and white pepper are produced. Long pepper possesses black pepper's heat and musk with subtle notes of nutmeg and cinnamon. It has a cool finish, which means no amount is ever too much – while black pepper stings, long pepper balms. Packaged in 30 kg plastic bags. 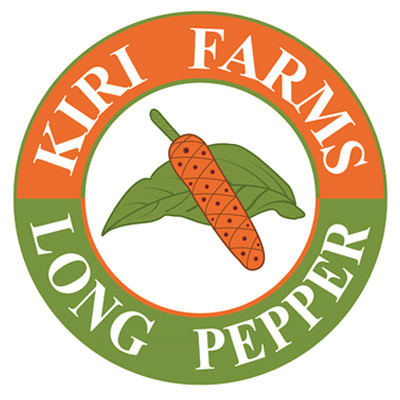 We sell Kiri Farms long pepper products locally in Phnom Penh and export internationally. If you have a question about our services or if you want to discuss anything about long pepper and its uses, just fill out the contact form and we'll get back to you ASAP.